We are honored here at Abstergo to be fortunate enough in celebrating the entry of yet another year with all of you! May we all be fortunate and successful for all the years to come!! Happy New Year! We would love to wish you all a grand winter with cheerful and warm celebrations! 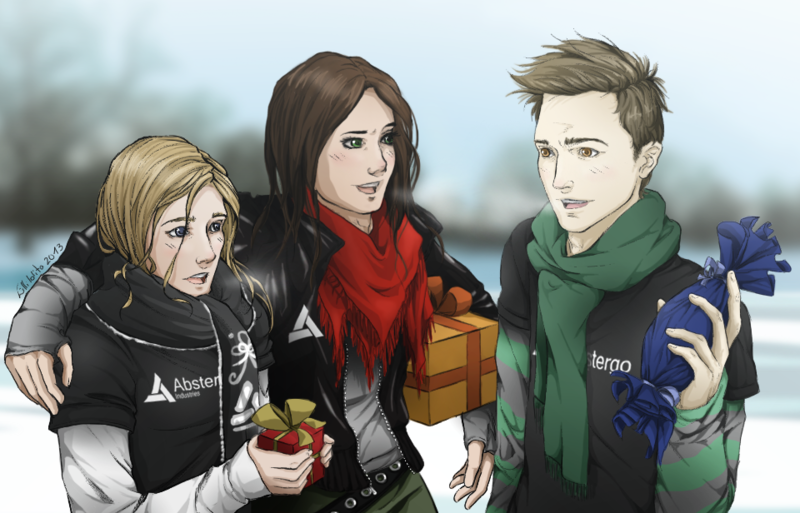 Merry Christmas from Abstergo! It’s finally here! This week Abstergo Entertainment will release the much-anticipated game, Assassins Creed Origins. You will explore the world of Ancient Egypt as a vigilante and may even discover some surprising facts about ancient Egypt. If you are really eager to pass your history exam on ancient Egypt, Assassin’s Creed Origins will get an educational mode in early 2018 called Discovery Tour, which includes visiting Alexandria, Memphis, the Nile Delta, Great Sand Sea to name a few locations. While visiting these locations there will be guided tours where you can learn about the life of Cleopatra or the mummification process. Be sure to get yours on Friday, October 27, 2018. By now you have all heard about Abstergo Entertainment’s next big game, Assassins Creed Origins, which gives you a look in to ancient Egypt from the point of view of a disgruntled vigilante named Bayek as he works to protect the people from so called threats. However, in collaboration with a sister gaming company, we showcase the fantastical powers of theses so called vigilantes that have been loved in our previous games and combine them with the wildly popular Final Fantasy games. The theme of the story plays out like all our other games in that this group of “Assassins” strike out against imaginary foes and causes harm to good people just doing their jobs. In our work, we like to remind people that this terrorist group has cause widespread chaos and devastation, even nearly ending the world at one point, but that’s another story. Assassin Festival runs now till January 31, 2018. Check out the trailer below. Abstergo Industries hopes to have pet translators available in the next ten years. As our research in communication extends from cyber to organic, we find ways to better communicate with the world around us and that will soon extend to our pets. Pets have become an increasingly integral part of our lives, to the point that some pets have become “fur babies”, consumers are now demanding a way to better understand the needs of their dogs and cats. Abstergo is eager to explore the possibility of communication between humans and animals. The insights and perspective associated with the cognitive functions of animals can lead us to a new understanding of how humans see and interact with animals and the world around them. This can then in turn advance research in social behavior diseases and disorders. Therapeutic animals have been used in treating social behavior diseases and disorders, it is still unclear why animals have this healing tough and it is with great hope that pet translator will begin to unlock this mystery. Abstergo Entertainment is considering launching into a new branch of entertainment by turning our beloved videogames into an animated series. Producer Adi Shankar was approached about the job and asked to create an original storyline. We are still working on the details, such as how “anime” we want the series to be. Stay tuned for further details. By now you have probably heard about our new game, Assassins Creed Origins. While this game was leaked early, we are still excited to share our latest venture in the world of villains, also known as assassins. Explore ancient Egypt as you relive some of the most fascinating events in history. Be sure to check out Abstergo Entertainment’s Assassin Creeds Origins webpage. http://bit.ly/2tdloEV We have many more exciting events and products coming out soon. Stay tuned and live better.